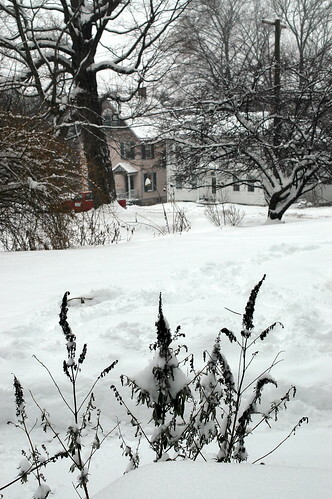 snowy weeds, originally uploaded by jahansell. I'm out of photos of the business community for now - though in the past I've shown Art's Automotive, Jack Murtagh's liquor store, Rick's, of course, and others. The conversation continues, though! Meawhile the snow is almost entirely gone, but here's a picture of how lovely it was here last week! Cool photo. I thought at first it was two pictures, but it was just the snow in the middle separating the background from the foreground. ohh you are lucky to have a lot of snow there. We have just very cold..but almost no snow.